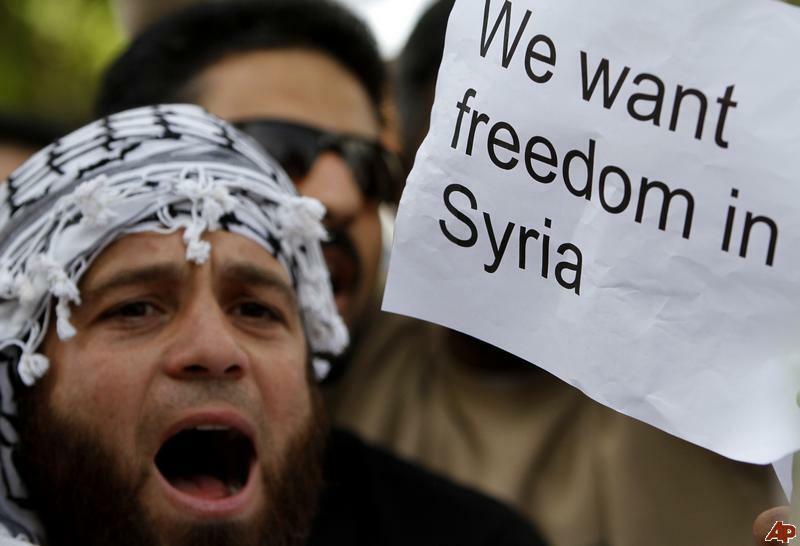 The civil war in Syria has ravaged the country for two years. The UN reports that, since March 2011, 70,000 civilians have been killed in the war. In addition, out of a population of 22 million, 4 million have been forced out of their homes and another million have fled the country. Rebels have recently made gains in the southern part of the country, but the government remains in control in most of the major cities, including Damascus. Small gains by the anti-Assad forces are steadily accumulating, as the U.N. holds secret negotiations for a post-Assad Syria. However, some commentators see the lack of direct intervention in the conflict as a sign that the there is no end to the war in sight. As the conflict spreads beyond its borders, some see Lebanon as the country most likely to become entangled in it. Both nations gained independence from France after World War II, and they’ve have had an uneasy relationship ever since. Two weeks ago, Syria made an air strike on rebels taking refuge in a border in Lebanon, an attack that received condemnation from the State Department. Foreign policy correspondent Conn Halinan, citing As-Safir, an Arabic newspaper in Lebanon, writes how Qatar and Saudi Arabia each vied for their candidate to be the head of the Syrian National Coalition (the main opposition group) and Qatar won. Ghassan Hitto, an American citizen, is the newly appointed opposition Prime Minster. Sheikh Ahmad Moaz al-Khatib, the most popular opposition leader, quit recently in protest, to the surprise of many Coalition leaders. But the interests of these two monarchies are just a microcosm of the more elaborate scheming amidst pro-Assad nations (China, Russia, Iran, Iraq), the West, and its allies. Russia and China’s vetoes in the Security Council aren’t preventing a more direct form of intervention. The chance of an invasion by Turkey, a member of NATO, which serves a similar purpose to the U.S. as one of Dennis Hopper’s gawky henchmen in Blue Velvet- remains possible but unlikely. Western apprehension towards more direct forms of intervention in the region revolves around a fear of what will happen once Assad is overthrown, a fear that the region will become even more unstable than it already is. Although the U.S. is still calling the shots, so to speak, it doesn’t have the influence that it used to. An empire in decline will not, naturally, be able to assert its power as much. The tumultuous happenings in the Arab world, in part, reflect that. Allegations surrounding a chemical attack in the country have caused some controversy. The New York Times reports that the Russian envoy from the U.N., Vitaly I. Churkin, compared Western demands for investigation into the use of chemical weapons to the inspections in Iraq ten years ago. Like Assad, the Russians know that the U.S. is full of it. Why trust them anyway? To cope with both the freezing climate of their country and the coldness in their communist hearts, Russians drink excessive amounts of vodka because they hate liberty. Unless the Syrian government felt like testing out its chemical weapons on its own forces –Syrian soldiers were amongst the dead –it is clear that rebels were responsible. Yet the only reason the supposed chemical attack has received so much publicity is simple: to justify further intervention. With roughly 3,500 tons of weapons sent to rebels, the U.S. is fighting a covert war in Syria. With Egypt and Libya, Gaddafi and Mumbarak were not denounced by the U.S. until they were overthrown. Although the standard strategy entails supporting the dictator until he is overthrown, then telling everyone how much we love freedom, the situation in Syria is different. Some analysts believe that the West’s indirect involvement in the conflict reveals that they are afraid of who might come to power next. Assad’s regime, unlike Qadafi’s (whose son received a PhD from LSE and who received praise from slick Harvard intellectuals), is not too chummy with the West. Assad has not been the most obedient dictator but, until recently, he has played along with the West. When the U.S. responded to Assad’s “I’m not a puppet” speech by saying that he was “detached from reality,” it became clear that he was just another teenager being yelled at by his parents for hitting the bong too hard. If Assad was truly that radical, he wouldn’t be in power. At this point, it’s no longer a question of whether he will stay in power, but more a question of whether he will make it out alive. Either way, the immediate future of Syria looks grim.